at luce ends: 33, Going Much Better! This past week has been a much better week baby-wise! I got to be home all week, with 3 doctor appointments. The current set-up is to have a beginning of the week appointment with my delivery OB, Dr. Chien, who does a non-stress test to make sure Haly is doing well. Then at the end of the week I follow up at the Maternal Fetal Medicine clinic for an ultrasound, another non-stress test, and a doctor chat. This week I also had my third trimester eye check to make sure I'm not showing any signs of diabetic retinopathy, and I'm not! The doctors are now saying they will induce me at 37 weeks if Haly isn't here by then and that if I go into labor before then, they won't try to stop it again. I'm back on bed rest because my blood pressure is still being a little silly and to help minimize the foot swelling. So far it hasn't been bad. 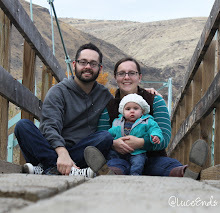 I've been working on a few sewing projects, the same knit sweater I've been plugging away at for the last 4 months, and putting together our baby announcements and Christmas cards. 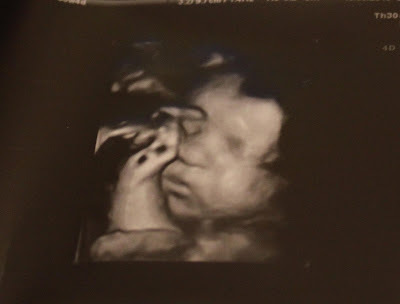 Below is a picture from today's ultrasound at 33 weeks, 6 days. 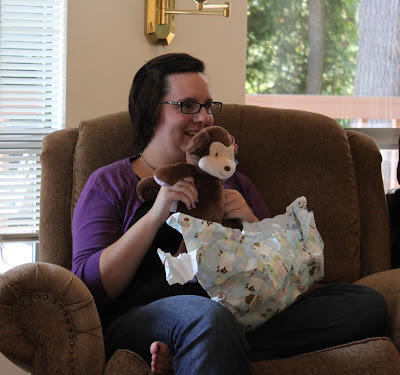 Last Saturday my cousins threw a fun baby shower for little Halcyone at my Mom's house. Haly is going to be one well-dressed little newborn! 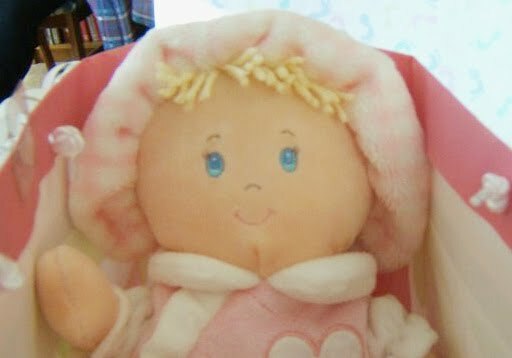 She also got her first doll from my Grandma.